For as long as he can remember, Luca Brecel has dreamed of potting the final balls to win one of snooker’s biggest tournaments. That became reality earlier this month for the Belgian when he beat Shaun Murphy 10-5 to capture the Evergrande China Championship crown. It was a huge breakthrough for the 22-year-old who had been tipped for greatness since his junior days. 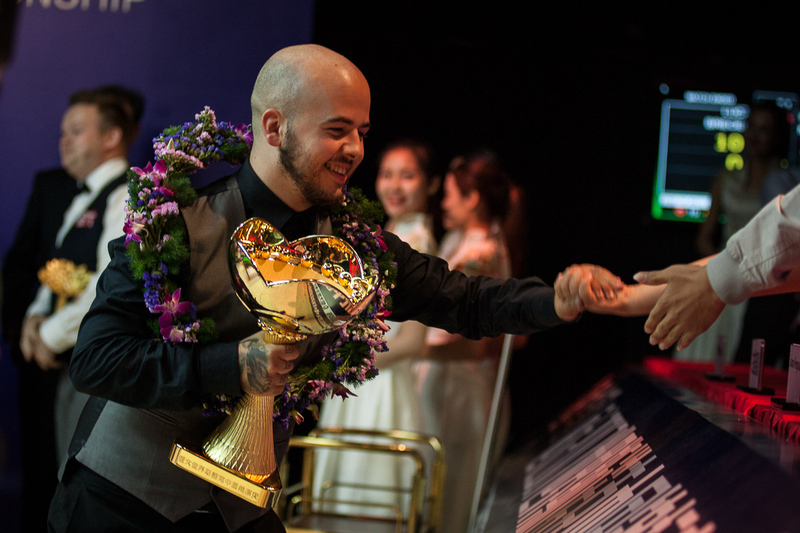 Lifting that intense pressure in between matches and sessions was a crucial factor in Brecel’s victory in Guangzhou. Following the example of Claudio Ranieri, who treated his Leicester footballers to pizza when they kept a clean sheet en route to Premier League glory, Brecel’s manager Django Fung used a similar tactic. Brecel emphasises the importance of finding ways to take his mind off snooker when he’s not at the table. He’s a dedicated fan of hip hop; among the myriad of tattoo ink covering his arms is a portrait of rapper The Game. “I love hip hop and listen to it all the time, but actually between the two sessions of the final I listened to the soundtrack of Braveheart,” said Brecel. “I absolutely love it and it kept me calm, because I was nervous. I also watched a bit of Alex Agnew who is a Belgian stand-up comedian. Along with the trophy came a cheque for £150,000. But Brecel insists that he is not motivated by the vast financial rewards now available at the top of his sport. Looking to the future, armed with an improving tactical game and a huge injection of confidence, Brecel feels his maiden title could be the first of many. “I have always believed that I can win a lot of tournaments, but now I have got one I believe that even more,” said the world number 15, who looks set for debuts at the Champion of Champion and the Dafabet Masters in the coming months. 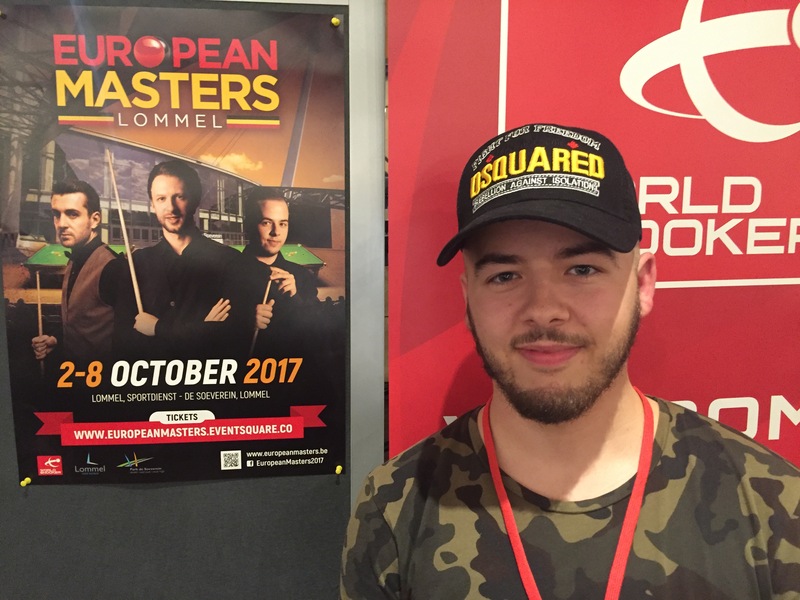 Coming soon into Brecel’s cross hairs is the European Masters in Lommel, the first ranking event in his homeland for 23 years. World Champion Mark Selby, defending champion Judd Trump, John Higgins and Neil Robertson will be among the other top stars in Lommel for the tournament which runs from October 2 to 8. Tickets are on sale now and start at just 15 Euros, with fans urged to book fast. For all details click here.